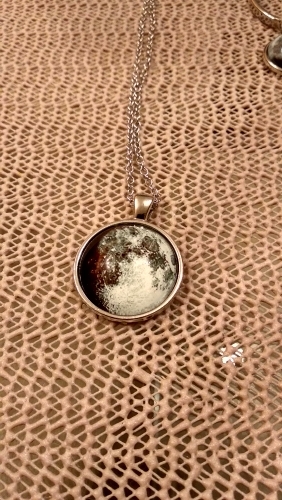 Frankly, we couldn't think of a better product to celebrate the moon season. 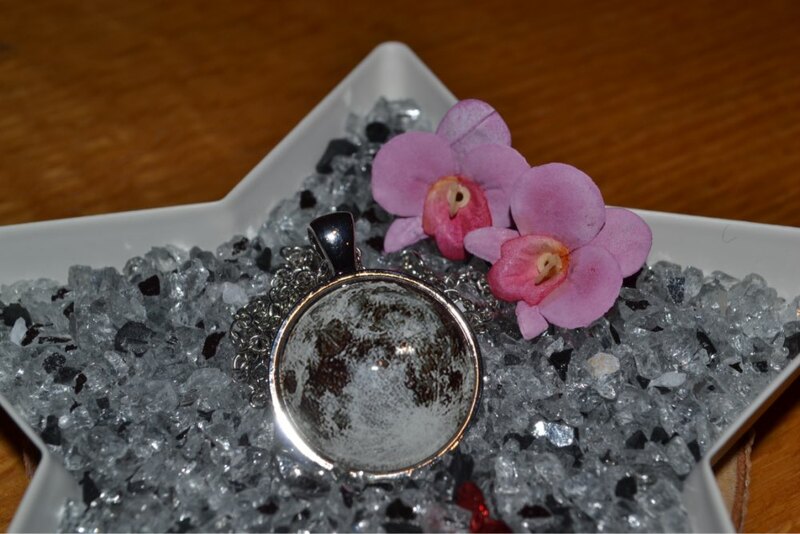 The moon brings us more energy, prosperity, and abundance. 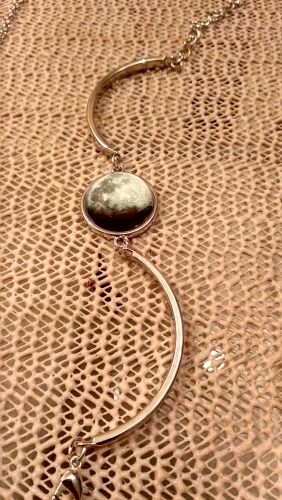 Embrace her power with this beautifully handcrafted jewelry. 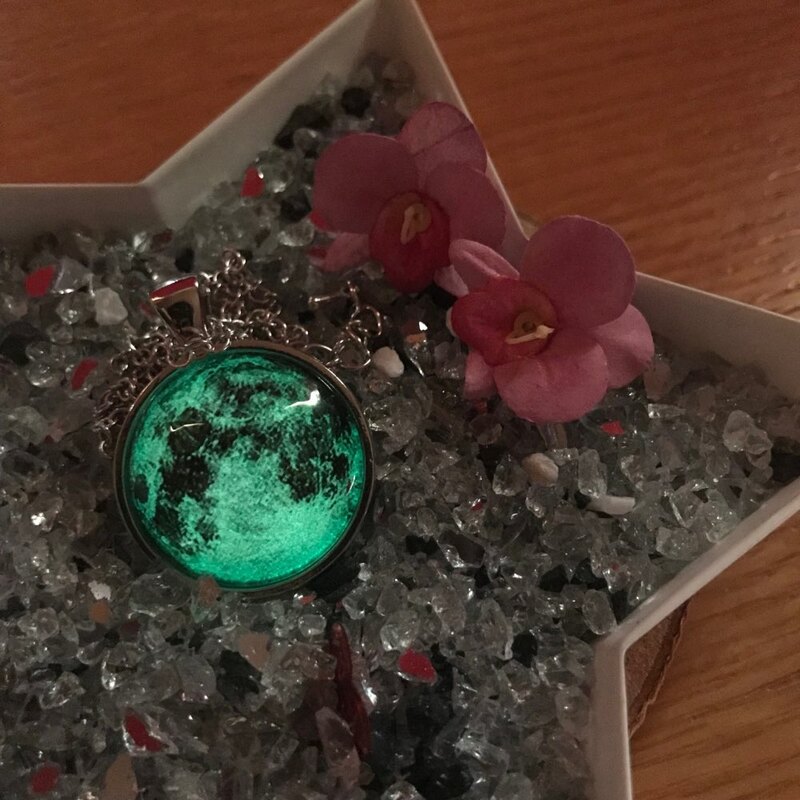 This glow in the dark necklace comes in 8 varieties and all of them will make you more susceptible to the energy of the moon. 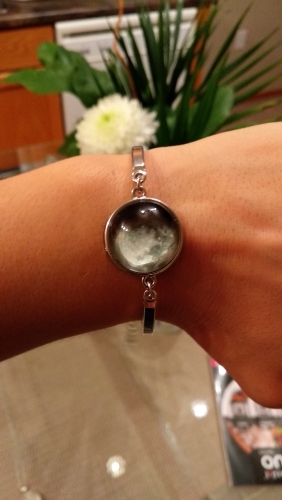 Moreover, you can pair up this quirky piece of jewelry with most of your party wears. 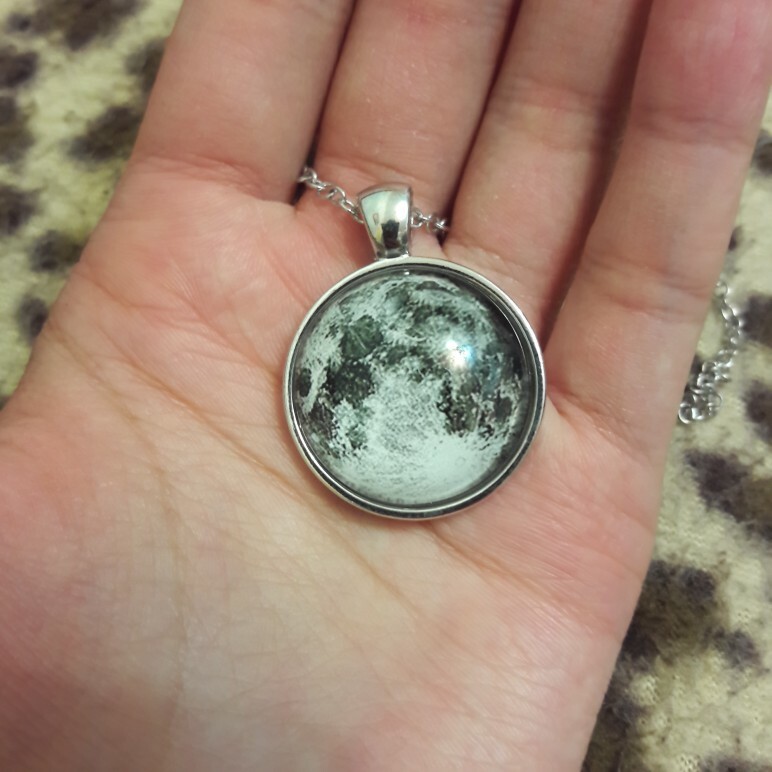 Order the necklace and wait for the full moon to unleash its magic. 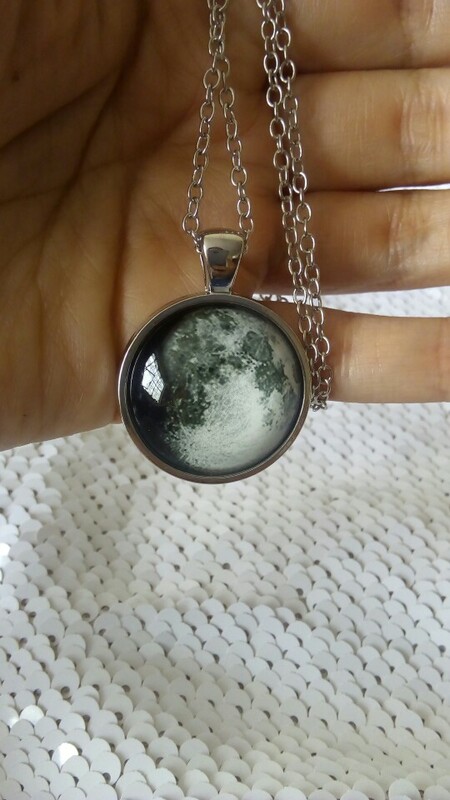 An original yet gorgeous piece of jewelry, perfect for anyone who is a fan of the night sky. And the best bit? Just wait until you turn the lights off. 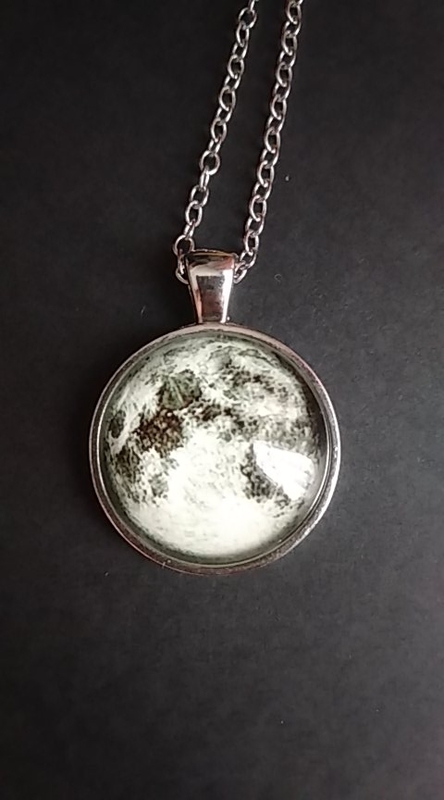 This necklace glows in the dark showing off your favorite color, so even at night, you can see the fullest phase of the Moon! 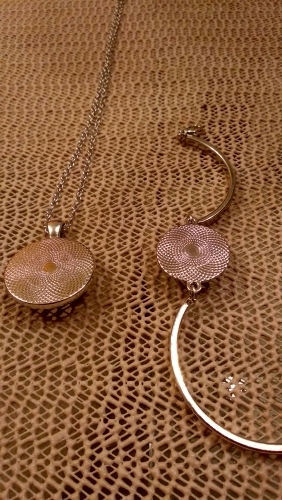 This necklace is going to brighten up anyone’s day (or night). 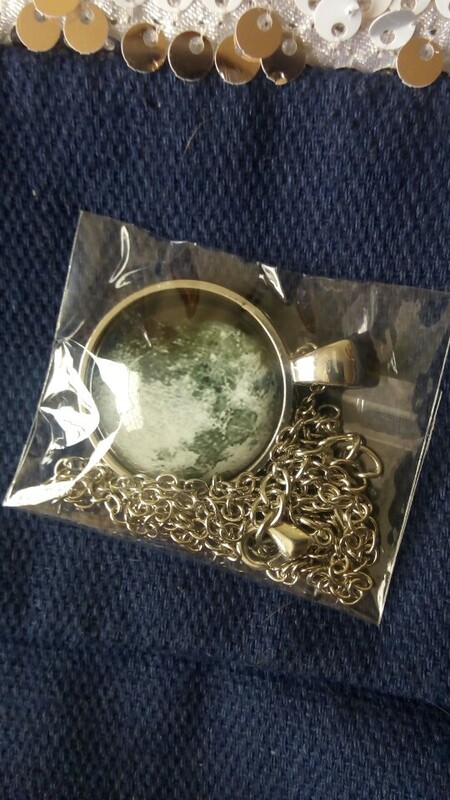 Shipping Note: Ships within 2-3 days of payment. Free shipping takes 10-30 business days depends on the country. Please take note of the shipping times in our Shipping Policy if you are looking to have your item by a certain time. Nice.. Just take a little longer to arrive. 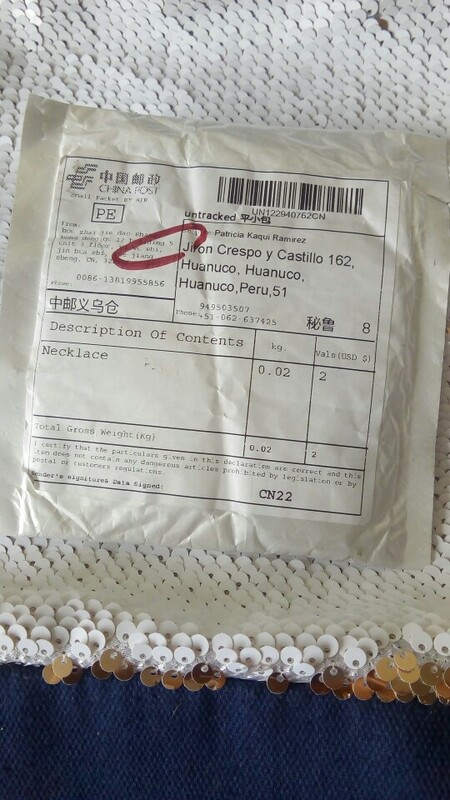 3 weeks to Canada, fast shipping. Everything in the picture. Great quality for this price. Glows in the dark. 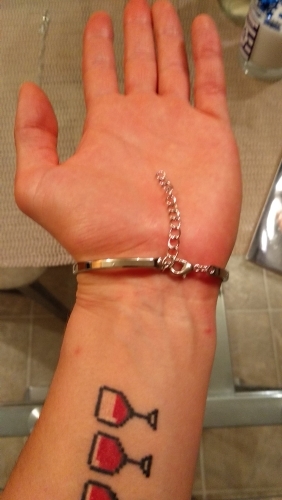 Chain long enough and slightly adjusted. Looks beautiful. Thank You Very Much!